We know that Davos 2019 presented a reckoning for capitalism. One gathers that no one present — neither CEOs nor heads of state, academics, NGOs or the media — expects the world order, or the global economy, to survive in its current form. We understand a trust deficit persists, alongside an “urgent desire for change.” Many voices remain out of these Alpine conversations. Uncertainty is everywhere. The list of potentially cataclysmic challenges feels endless: climate change, systemic inequalities, the impacts of automation and AI, sustainable consumption, species extinction (including our own). 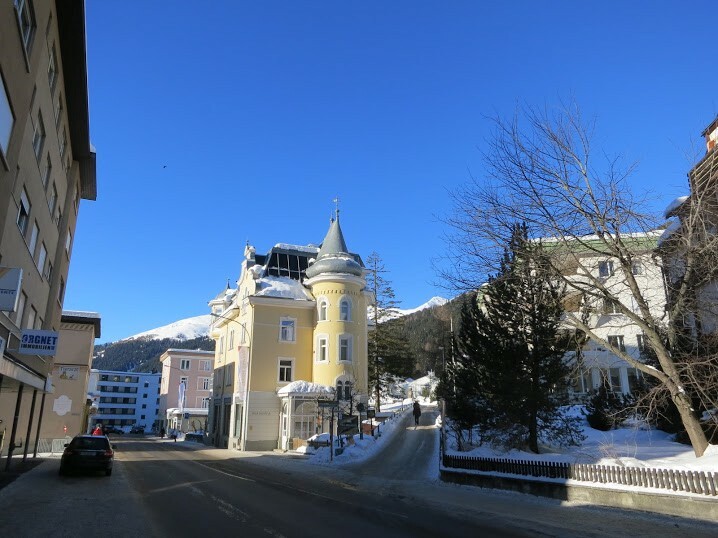 While Davos 2019 shared many of the same trappings of prior years, from round-the-clock schedules to free crampons and champagne, there was also a sense of genuine and even unprecedented dis-ease. The world, the world economy, and by extension the World Economic Forum itself, are on the cusp of profound change. The question is not whether change is coming, or whether the paradigm is shifting, but rather: how tumultuous will it be? How long will it take? And, does the collective will exist to guide the transition smoothly? WEF chairman Klaus Schwab once said to me, many years ago, “April, we don’t quite know what to do with people like you. You fit few of our traditional metrics. But I do know that without a handful of people like you, WEF has no future.” I took that as a compliment. I am an insider-outsider, deeply appreciative of both perspectives. My decision to write this post began with this photo. Offering a “day in the life of a refugee” experience is to be applauded (I have participated, and everyone I have ever met who has joined has found it to be eye-opening and worthwhile). The optics of WEF signage reveal a gaping dissonance, however. WEF has every reason to feel nervous about its brand when photos such as this go viral. 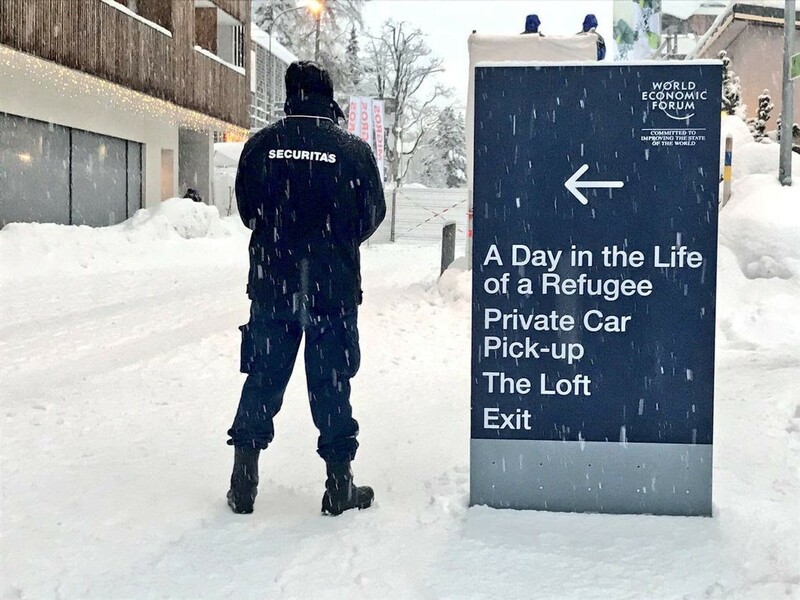 Moreover, this happened at the very same time that there was a refugee initiative in Davos itself, not far from the Congress Center (which, according to first-hand reports, was shunned throughout the week). Listening and reading this year’s Davos discussions, on occasion I wondered whether WEF wished it were the World Social Forum or SoCap (“where meaning and money meet,” which I had the privilege of helping create in 2008) instead. These and many other impact investing, social innovation and civil sector convenings have been going on for years. They were seen as largely peripheral by WEF. Today, WEF would do well to learn from these gatherings about inclusive community building and participation. As an aside, I would consider what the World Social Forum and SoCap could do with $600,000: the price tag for WEF strategic partners’ all-access tickets. No doubt, a lot. Globalization is about business: free markets, trade, labor, customers and global footprints. Globalism is about institutional structures: how to support and manage a world that is increasingly borderless in some ways and yet full of borders, walls and limitations in others. Global citizenship, however, is about values: our rights and responsibilities towards humanity. 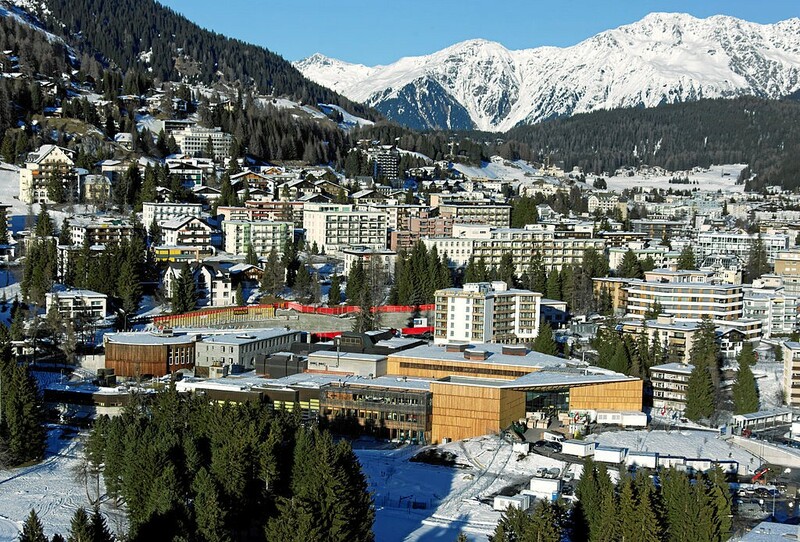 Interestingly, while myriad sessions on globalization have been part of the Davos discourse for decades, this year there was a session about global citizenship in the context of blockchain and digital governments. However, in this setting “global citizenship” was basically defined as “citizenship for sale”; a global citizen means someone with many passports, thus again the elite (never mind that it was also a “manel”). As I have shared before, this framing is both irresponsible and inaccurate, and WEF runs a very real risk of this term being co-opted in the years to come. Now is the time to clarify these values. WEF prides itself on being the place that more CEOs and prime ministers gather every year to have candid conversations. No doubt WEF’s convening powers are extraordinary, even unparalleled, and speaking is the first step towards action. However, speaking is no longer enough. This year, many hard questions were avoided. For example, panelists agreed that we need tech governance solutions, but there was very little substantive discussion of what that should look like (never mind institutional architecture). An economist’s breakout quote said that “it feels like a firefighters’ conference and no one is allowed to speak about water.” At this rate, Davos will be outpaced by change on the ground. We are in the early phases of a global renegotiation of the social contract, which will take different paths in different cultures. It will include a holistic rebalancing of wealth, power and equity that delivers more for those left behind in the current economy. We have an opportunity to influence and smooth that path for the greatest benefit to the most humans. WEF has a chance to co-lead some of these efforts, but to be taken seriously, it may need to shift its positioning and voice to ensure it gets an invitation: not to Davos, but to all those places where real, everyday change is taking root.